Le Gaulois de Portneuf was a finalist at the 2011 Sélection CASEUS Competition in the Fresh or Soft Cow-milk Cheese Category (company transforming less than 1 million liters of milk). 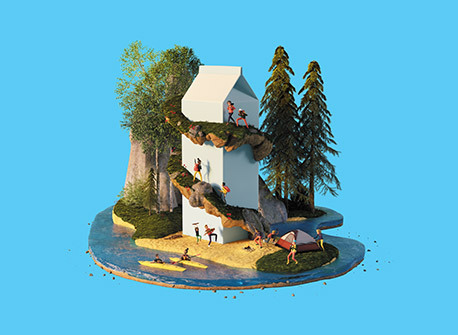 Rudy Ducreux and Sébastien Danian fulfilled a dream when they took over Luc Mailloux's farm in Saint-Basile. Their products are made from the milk of their own Jersey, Holstein and Ayrshire cows that are fed only grass and hay from their farm. Mailloux remains involved with the Fromagerie by acting as consultant to the new owners. This soft farm cheese with a bloomy rind is made with raw milk and is surface-ripened for less than 60 days. 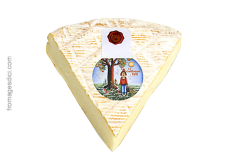 When young, Le Gaulois de Portneuf has a fresh, floral and creamy taste. As it ages, the "terroir" aromas intensify. 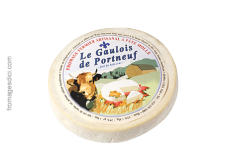 Le Gaulois de Portneuf and bloomy rind Soft cheeses are at their best when they emit an aroma of mushrooms and the rind gives when pressed slightly under your finger. A very strong smell or an ammonia-like odour is a sign that the cheese is overripe. To preserve cheese freshness, use the original wrapping or rewrap in plastic wrap to provide the tightest seal to protect from moisture, odours and possibly mould in the fridge. 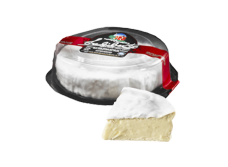 Freezing is not recommended for Soft cheeses.